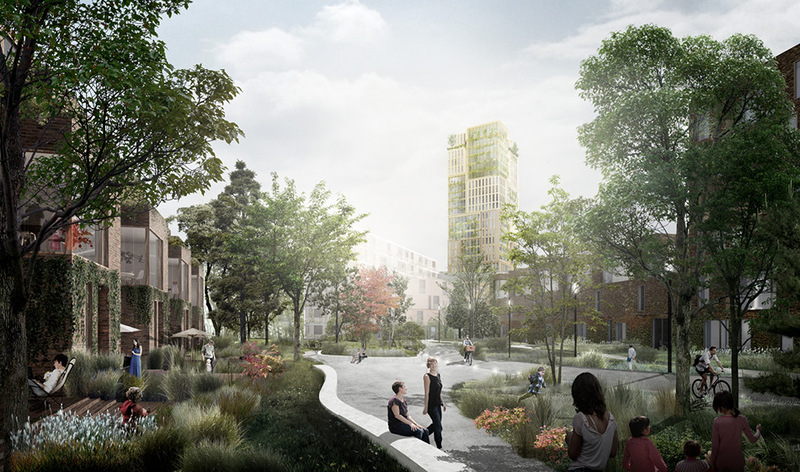 TREDJE NATUR’s plan revives Bryggens Bastion with green and blue elements as the central values in the neighborhood. 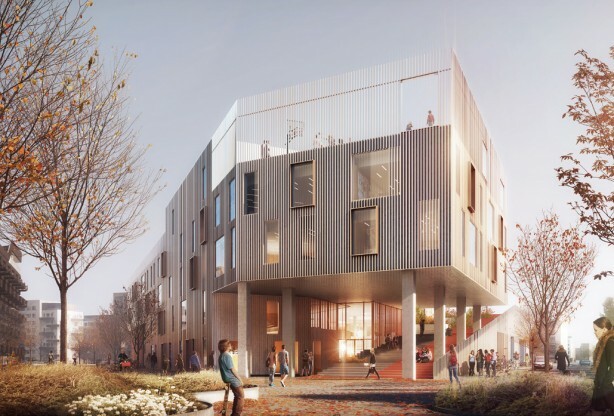 A connecting corridor in the project becomes the neighborhood’s new hub. 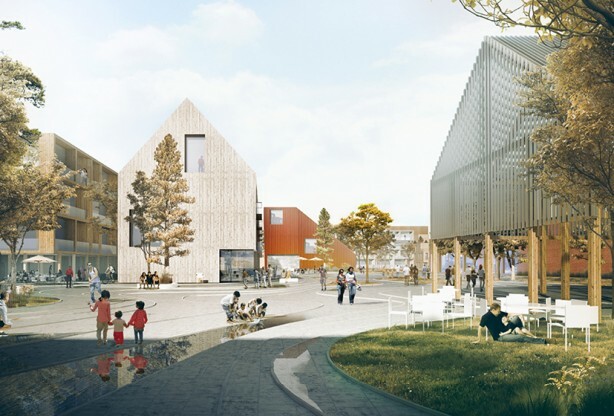 The area is 7 hectares and located in a very attractive area in Copenhagen. 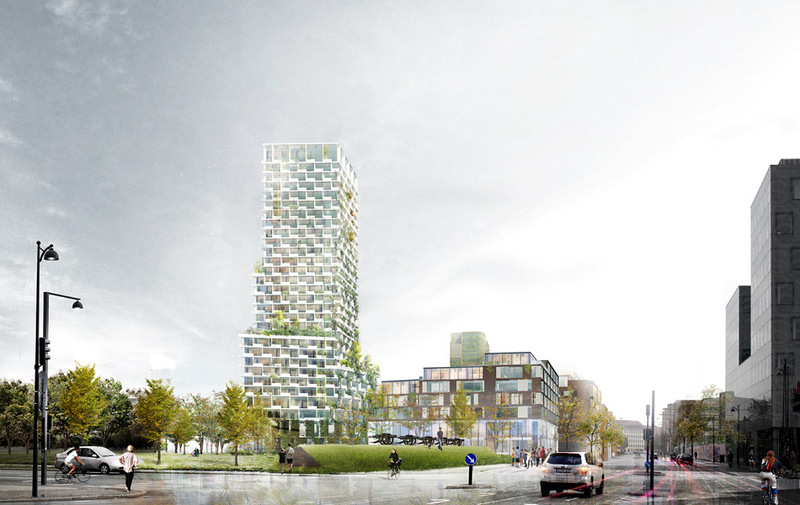 Metro, University and Ørestad and have finally been presented with a probable third and new project which is widely supported. 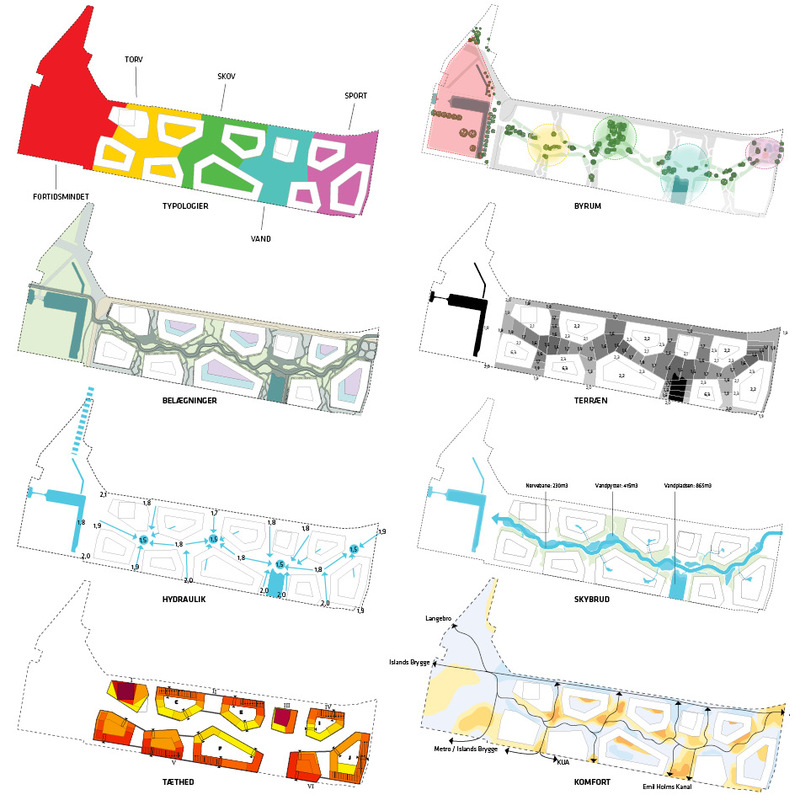 The connection from east to west creates structure in the city plan around a generous landscape that creates space for social gatherings, city biotopes and rainwater. 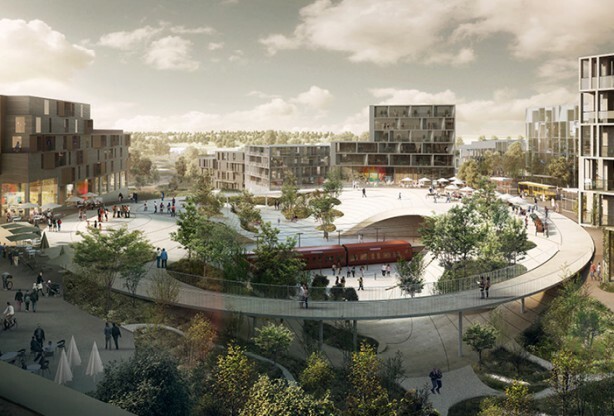 The corridor collects the central connections of Bryggens Bastion and creates space for a dynamic city life. 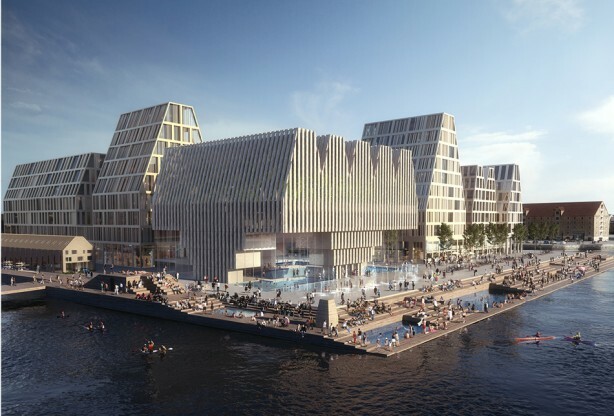 The bicycle routes – Amager route and the Ørestads route meet here, as well as the canal theme which reaches to DR Byen. 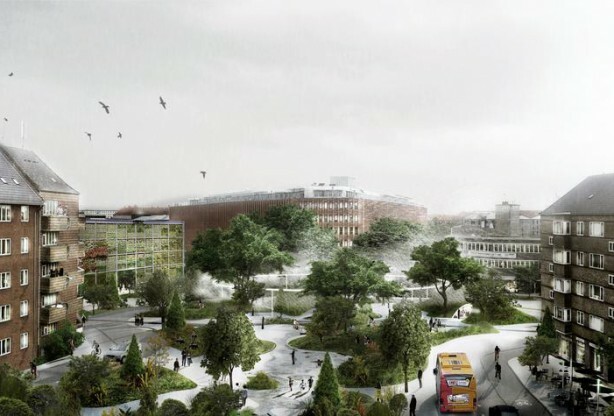 There is also a connection to the green archeological site bordering Njalsgade, which adds to the nature value of the plan. 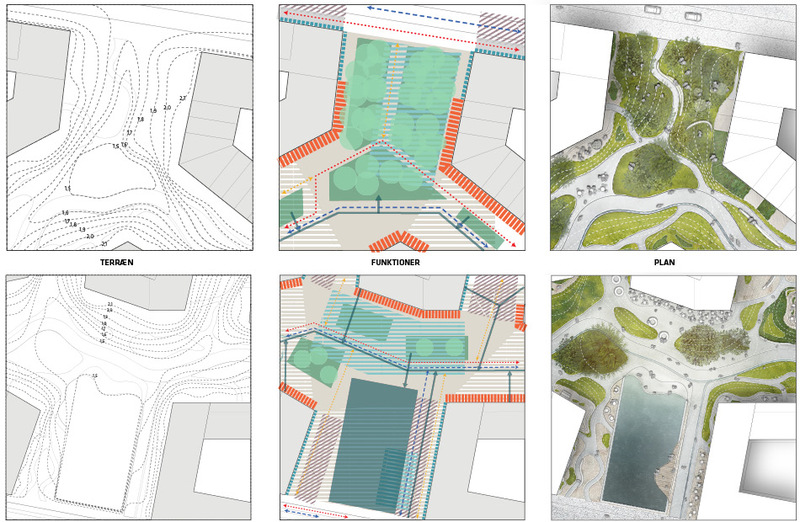 This master plan was developed by Arkitema, Tredje Natur, Entasis, and Polyform. 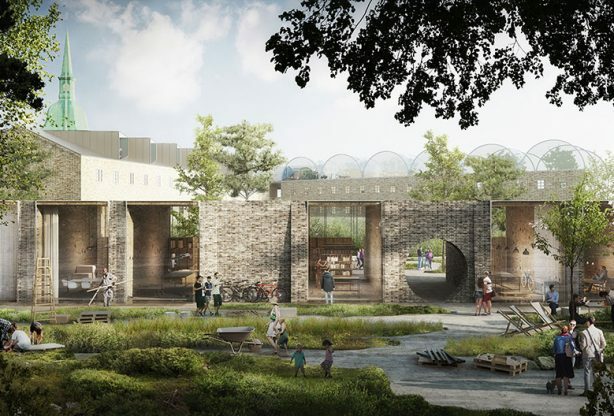 The overall concept of the masterplan is a green corridor, which connects ‘Svinget’ to the east to the archaeological site ‘Faste Batteri’ to the west. 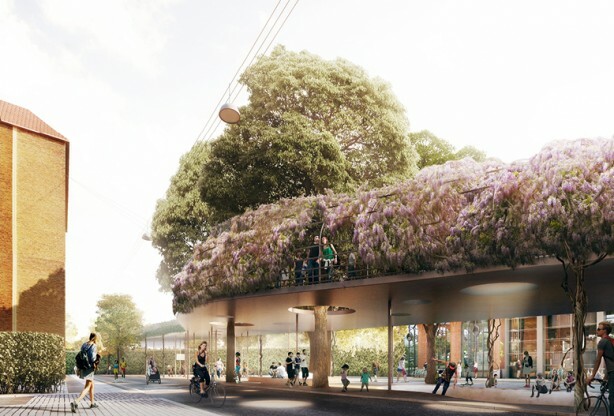 The green corridor will have public green areas, accessible by the area’s residents and the other users of the area, a public bicycle and pedestrian connection, combined with rainwater management elements. 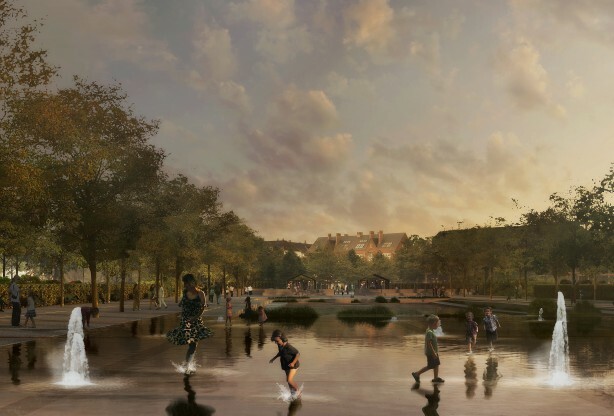 The archaeological site will be re established and will be designed into a city park. 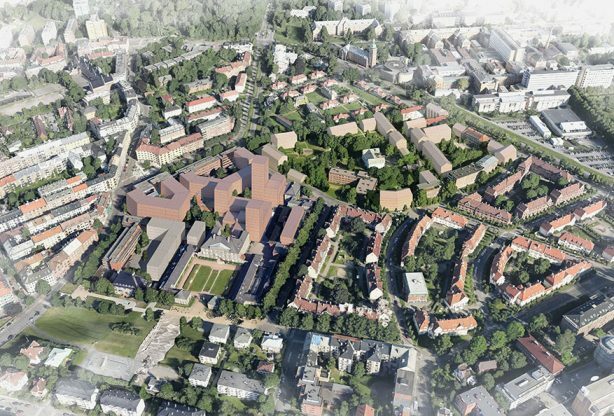 The property owner would like to create a new, attractive neighborhood on Bryggens Bastion because of its central location in Copenhagen. 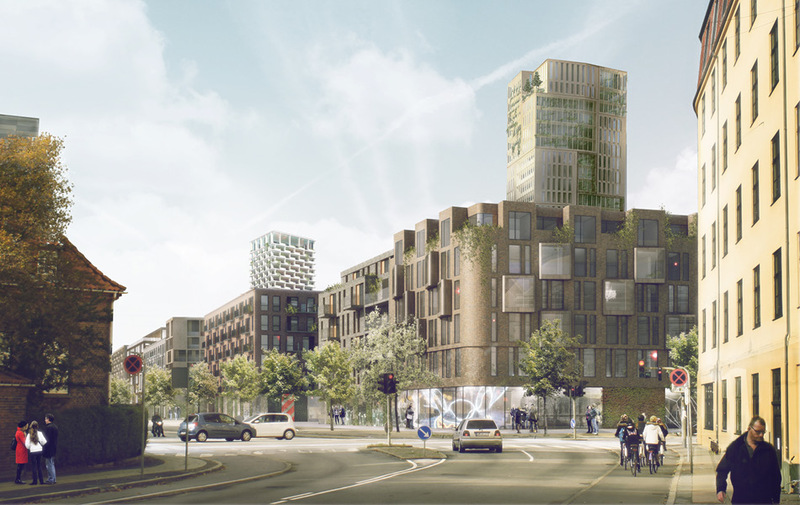 The vision for the masterplan is to create a dense, green and well-structured neighborhood, with a building typology that is a reinterpretation of the classic Copenhagen block house, along with two high- rises acting as landmarks. 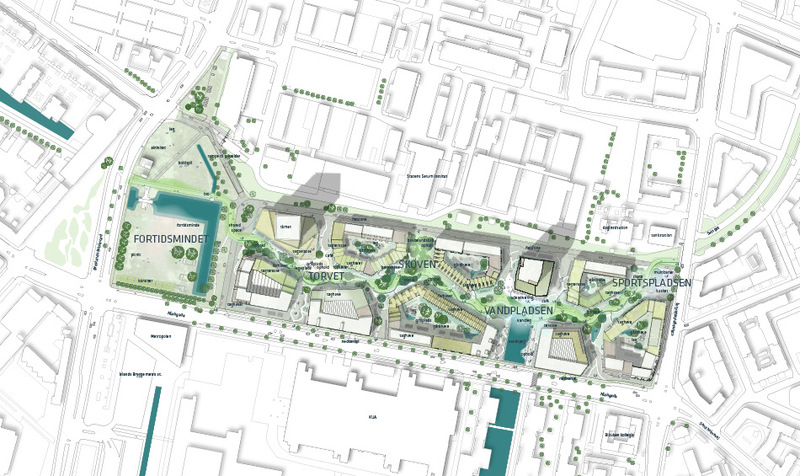 The plan is structured around the green corridor as a connecting element. 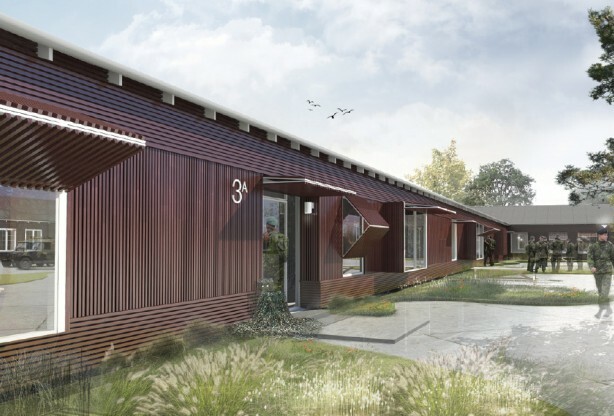 The property owner would like to work with different building typologies and modern community types in the project. 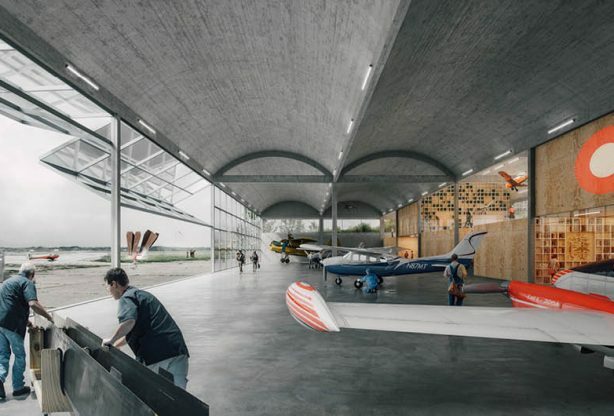 The buildings connect to the park and are based on the adjacent city structure in height, form, and materials, so the new area will relate to its context. 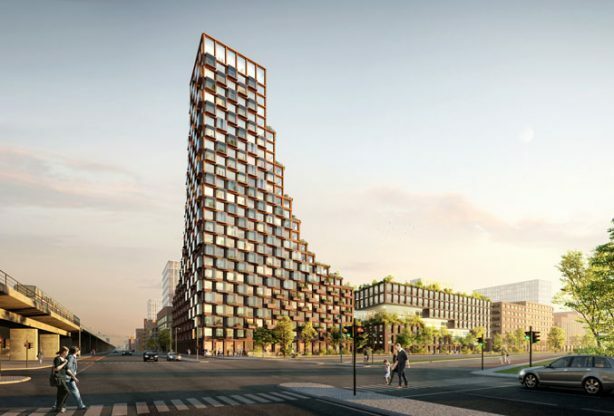 There are two signature, high-rise buildings, one which is 99 meters tall in the western end and another 86 meter at the end of Emil Holms Kanal. 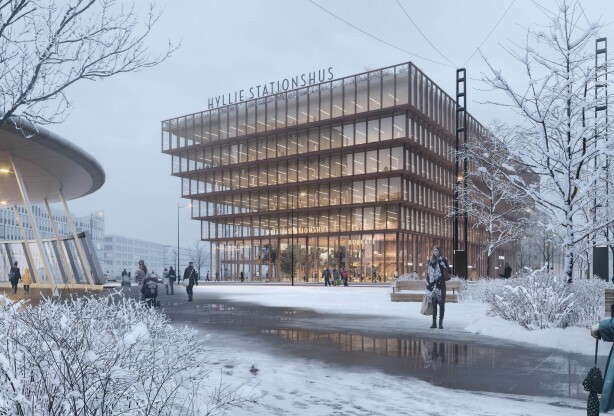 The local zoning allows for the area closest to Njalsgade, may be transformed to a dense neighborhood, with a mix of business, residential, shops and cultural venues. 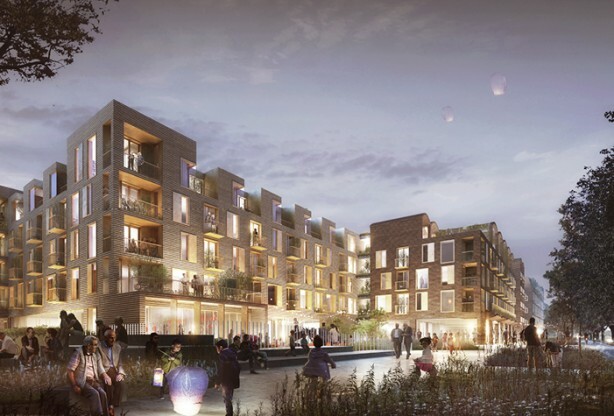 “District by district, we try to adjust the local area plans to reach a smaller scale, create more quality in the urban spaces and focus on the green, so we not just get architectural landmarks, but something that works for those who live and visit here. 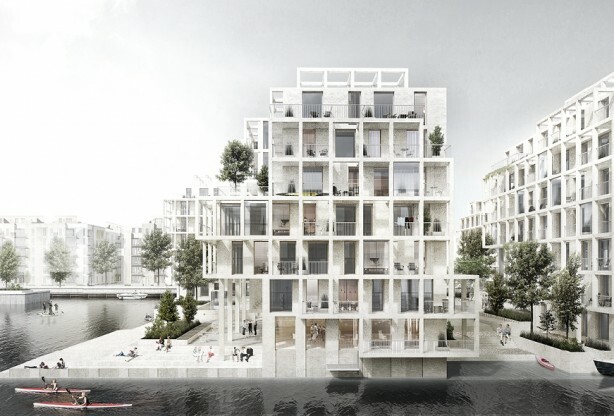 It is, after all, the Copenhagener’s city,” says Morten Kabell, environmental and engineering Mayor of Copenhagen. 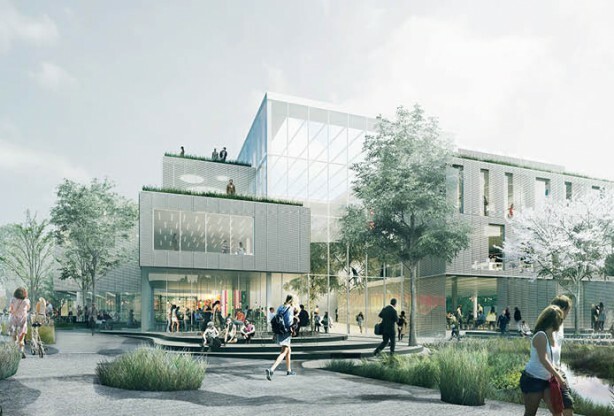 The zoning plan emphasizes the importance of the future of the area and it’s integration into the city, that can offer the local residents, users and visitors a unique, diverse neighborhood that focuses on a liveable city life and green urban spaces. 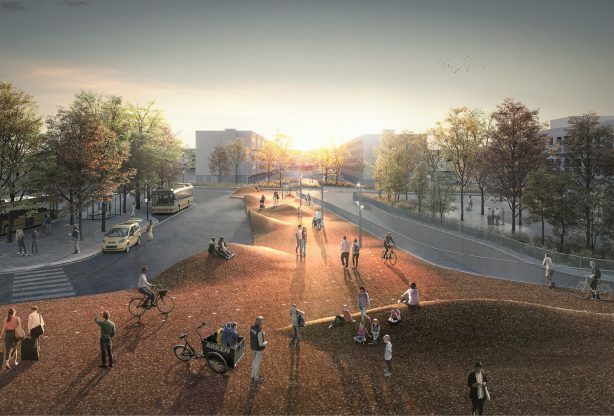 The main infrastructural concept is a central, green public park that can be used for recreational purposes and will contain two future bicycle connections, ‘the Amager Route’ and the ‘Ørestad Route’. 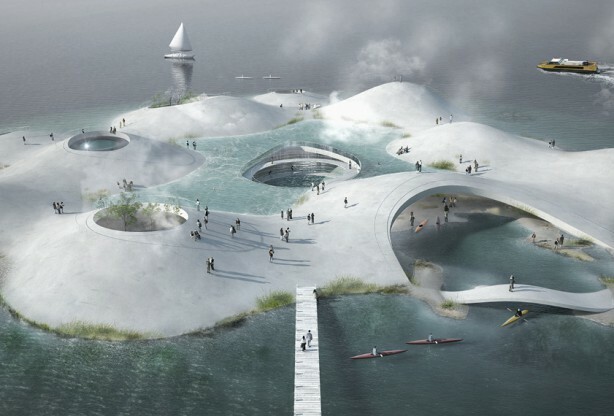 It will also function as a cloud burst and retainment area, according to the Municipality of Copenhagen’s stormwater management plans. The fortification at ‘Faste Batteri’ is a historical conservation area and will be re established and used as an urban park. 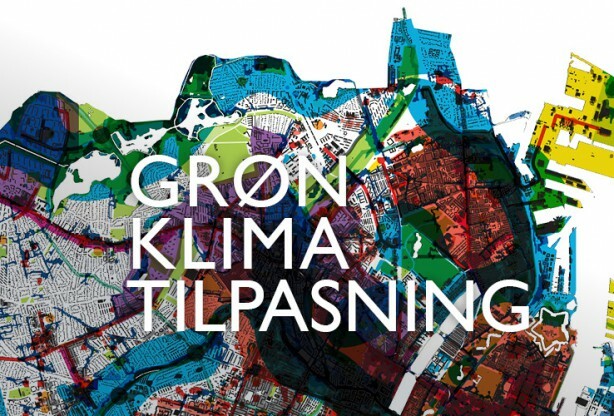 The area is therefore an important part of the Municipality of Copenhagen’s goals for climate, city life, and a green and blue capital city, and to connect the city areas together. 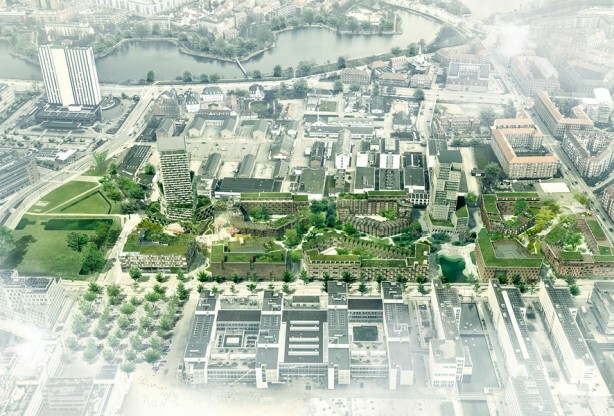 Besides the central green park and the archaeological site, this plan establishes four urban spaces; ‘Water Square’ as an extension of Emil Holms canal, that is the area’s main urban space, ‘Plaza’ at the tall building, ‘the Forest’ between the buildings in building area II and the ‘Sports Area’ at Amagerfælledvej. 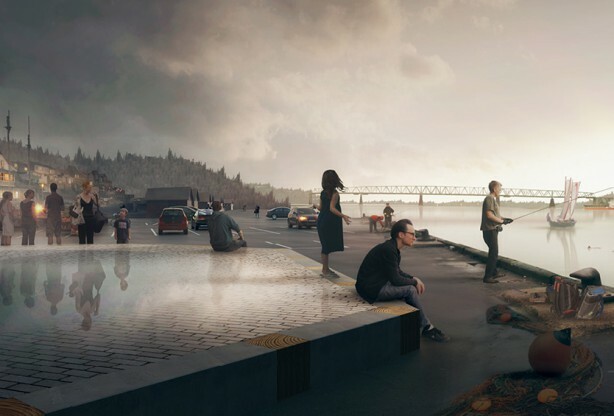 The area’s green urban spaces should allow for both quiet, relaxation or to movement through the actively programmed urban space, close to one’s residence, workplace, or as a destination for people living in other parts of the city. 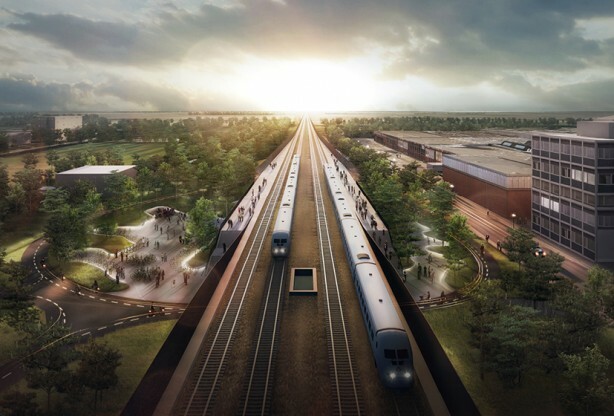 The route through the green linear park, will have as many different experiences as possible. In some areas, nature will accentuate the feeling of intimacy and protection, while other areas will provide a long sightline. 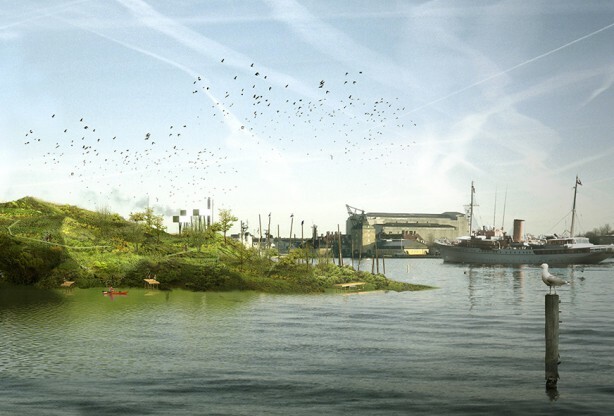 The planting scheme and the terrain will highlight these different experiences. 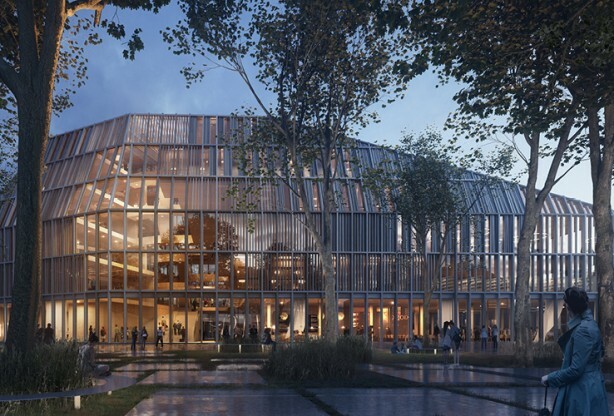 competition, held in the fall of 2014, and outlines the requirements for two landmark buildings in the plan. 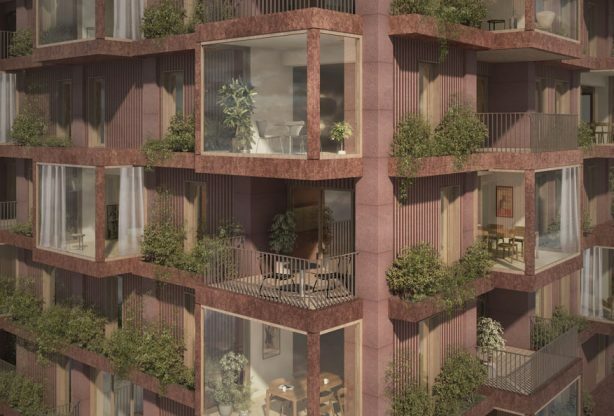 The zoning regulations state that high-rise A in the western end, must be integrated into the green linear park, by continuing the plantings up the facades and green roof terraces. 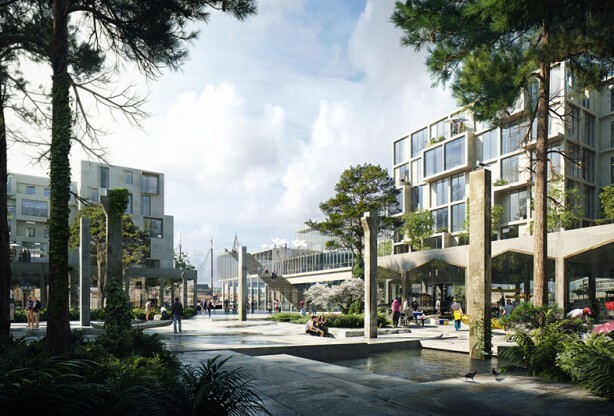 The green linear park will be a part of the first story, by way of public stairways and a roof terrace overlooking the archeological site. 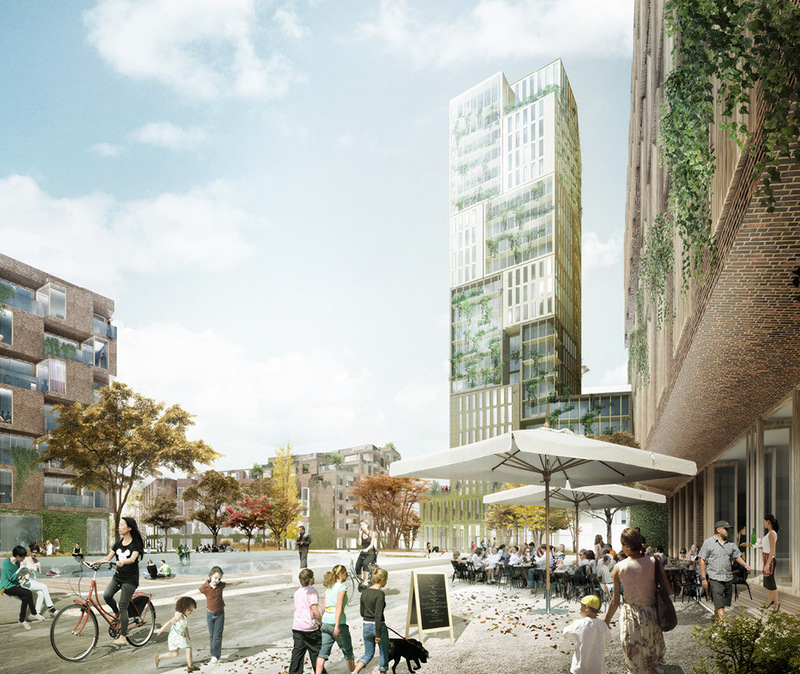 High-rise G, will be placed north of the ‘Water Square’ and Emil Holms canal. 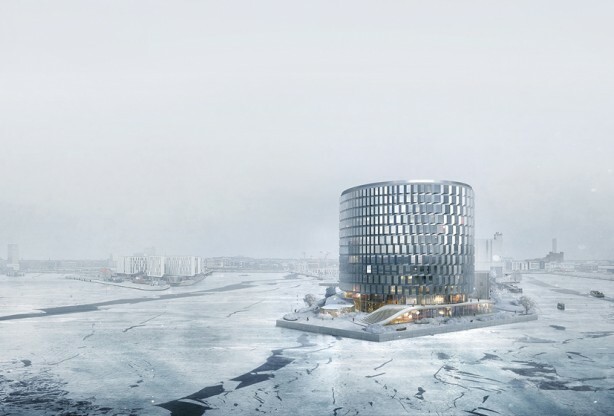 The base of the building must have the general height and characteristics of the surrounding buildings, but must also be a landmark building for the area. 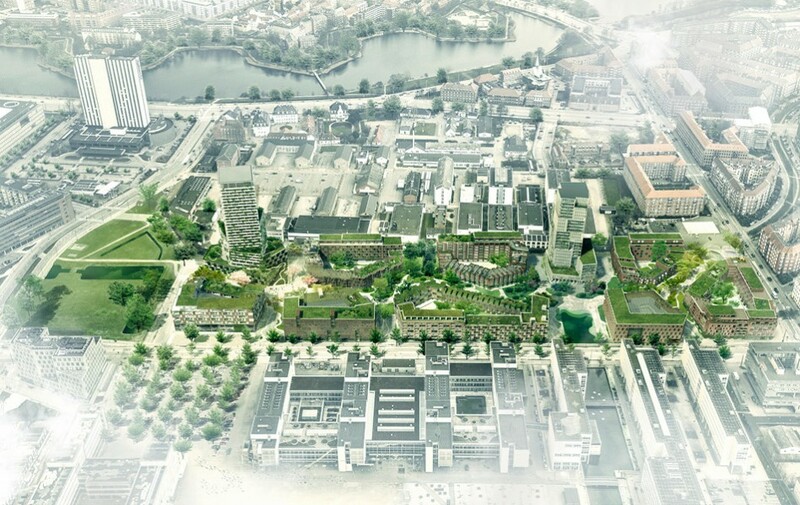 The overall concept of the plan, the green linear park, should be formed as a clear green park with nature qualities that can contribute to ‘Green Strategy’ goals for Copenhagen, including biodiversity. 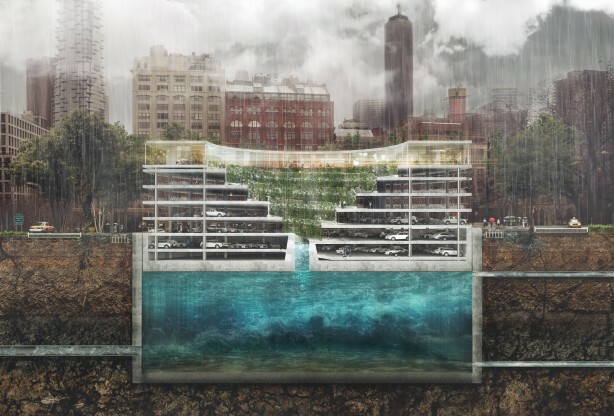 There are also requirements in the zoning plan about stormwater management and green facades. 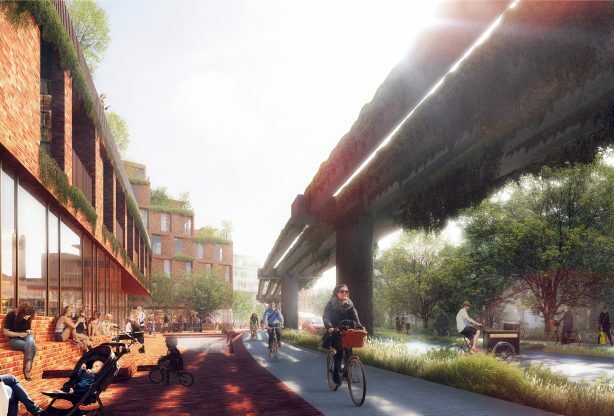 The central green corridor connect ‘Amager Route’ and the ‘Ørestads Route’, which support the municipal vision for ‘Community in Copenhagen’. 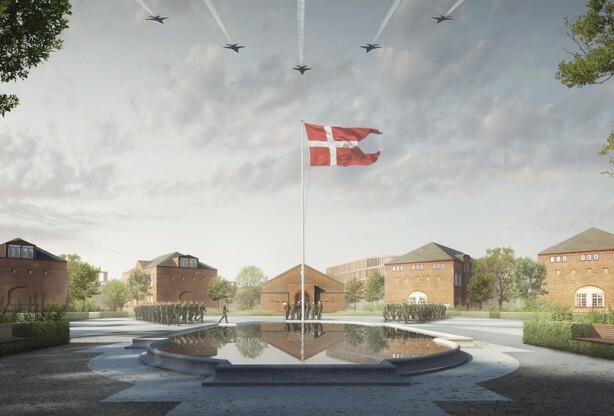 Based on the results of the Municipality of Copenhagen’s sustainability tool, the building contractor has obtained a precertification for DGNB for the masterplan and the whole Bryggens Bastion area. 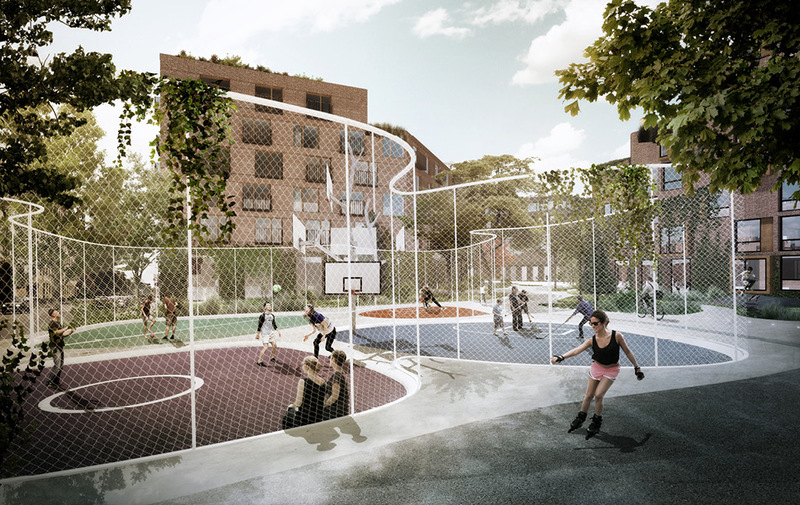 DGBN certification rates the life cycle of a neighborhood in a holistic and flexible way and looks at a neighborhood’s overall sustainability abilities.